PC2 – Dual Pilot Check Valve | Tucson Hydrocontrols Pvt. 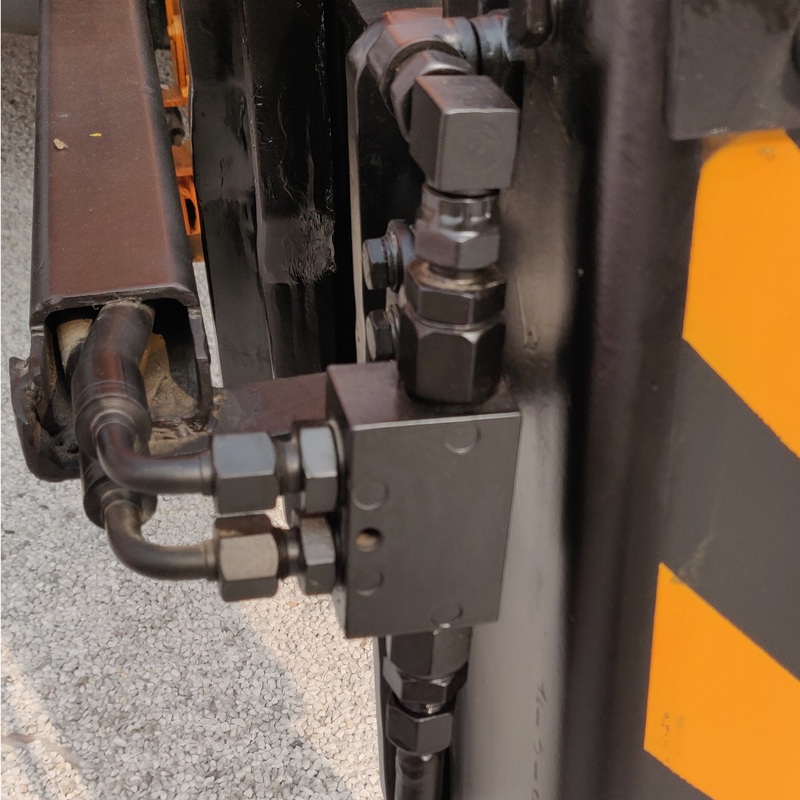 Ltd.
Dual pilot check valves have two checks valves that each allow flow to pass in one direction, with a low pressure drop, and then prevent reverse flow until pilot pressure is applied via the pressure port of the second check valve. These check valves give control over cylinders, holding and locking them in position until pilot pressure is applied. Pressure on the valve port (V1 or V2) causes the poppet to lift against the spring force, allowing flow to the cylinder port (C1 or C2) while providing a pilot for the second valve via the pusher. Reverse flow is prevented by the check re-seating. 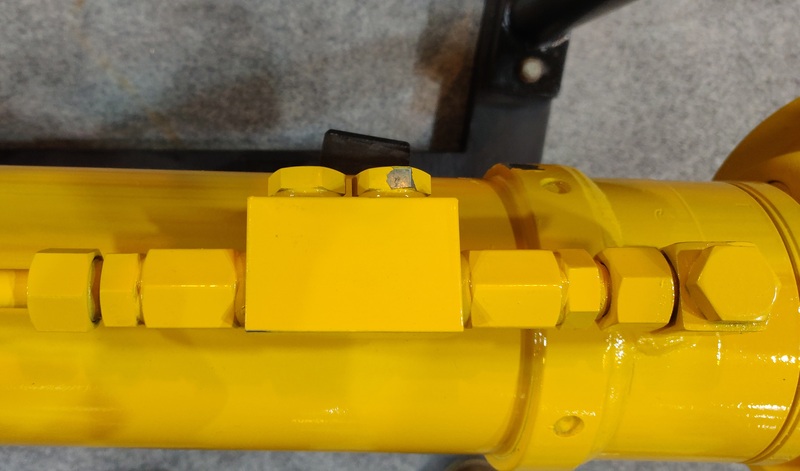 These valves use two check cartridges in a housing containing a pusher. 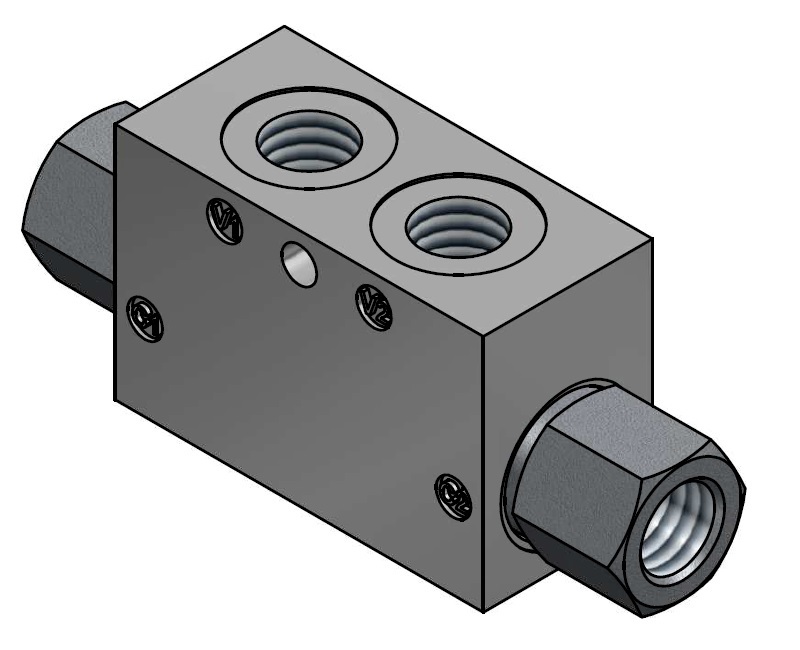 The valve housings have 4 ports with mounting holes for immediate installation onto hydraulic systems. Moving parts are hardened and then match ground for a long service life.